Major League Soccer starts its 21st season this weekend, firmly established as one of the main sports leagues in the US. With a new $90 million TV contract in place, MLS continues to grow and has attracted some top players for the 2016 season. Former Premier League stars Steven Gerrard, Frank Lampard and Didier Drogba all return for a second year, while Ashley Cole and Nigel de Jong have also moved to the US to add further star quality to the league. Much is expected of LA Galaxy's growing band of stars. Having lost two key players in Omar Gonzalez and Juninho, Galaxy boss Bruce Arena brought in Cole, De Jong and Jelle Van Damme from European football for a combined $1.3 million in salary – far below what many consider to be the players’ market value. With Gerrard and De Jong pulling the strings in midfield, Cole boosting their defensive options, and Robbie Keane and Giovani dos Santos a force to reckoned with up front, the Galaxy could be set for a title run. Reigning MLS Cup holders Portland Timbers may lack the star names of some of their rivals, but they have a solid team which has been improved by the signings of Jack McInerney and Chris Klute from Columbus Crew. Argentinian playmaker Diego Valeri is a quality performer, and Timbers fans can expect their team to make a dogged defense of their title. Crew will hope to bounce back from last season's heartbreak with another strong campaign, and having retained the services of star forward Kei Kamara there's no reason to believe they can't challenge again. Having enjoyed success with one Kamara, Crew have signed another in the form of forward Ola Kamara, bought from Austria Wien. The pacy 26-year-old enjoyed a prolific loan spell with Molde in Norway last season and he could be one to watch in the MLS in 2016. New York Red Bulls' run to last year's MLS Cup semi-finals came despite losing Thierry Henry and Tim Cahill ahead of the season. Mike Grella, Bradley Wright-Phillips and Dax McCarty were all solid performers for Bulls last time around, although the loss of Matt Miazga to Chelsea is a blow to Jesse Marsch's team. FC Dallas won the Western Conference title in 2015 by seven points, but their young team eventually ran out of gas against the Timbers in the last four of the playoffs. Coach Oscar Pareja has added further quality and experience by signing Maximiliano Urruti, Maynor Figueroa and Mauro Rosales, meaning Dallas should be in the mix once again. Elsewhere, Montreal Impact's hopes of success rest firmly on the shoulders of Didier Drogba, while New York City FC will expect much more productivity from Lampard and Andrea Pirlo this season. Drogba's back. The defense returns. Playmakers abound. With Toronto FC retaining the services of star forward Sebastian Giovinco, they are strongly fancied to build on last season's solid performance, and with defender Will Johnson and Clint Irwin signed during the off-season Toronto should be strong in the Eastern Conference. With teams continuing to improve their rosters year-on-year, interest in MLS amongst the North American public continues to grow. In 2015 the league was watched by an average crowd of just over 21,500 per game, making it the third highest in the US and Canada, ahead of the NBA (17,800) and NHL (17,500). The NFL still leads the way with an average of over 68,000 per game, while MLB is in second place with 30,400. MLS continues to lag behind the other four major leagues in terms of average franchise value at $157 million, with the NFL again top of the list at $1.1 billion. MLB ($650 million), NBA ($555 million) and NHL ($360 million) are also significantly ahead of MLS, although the new TV deal and further plans for expansion could see the gap close in the future. Television viewership has previously caused the league some concern, but with ESPN and Fox screening Sunday doubleheaders and Univision airing a weekly Friday game, the numbers should see an increase. ESPN averaged 249,000 viewers per game in 2015 – still some way short of the NHL's 350,000, and a long way behind the NFL's 'Sunday Night Football,' which was the No.1 show for all 17 weeks of primetime TV. 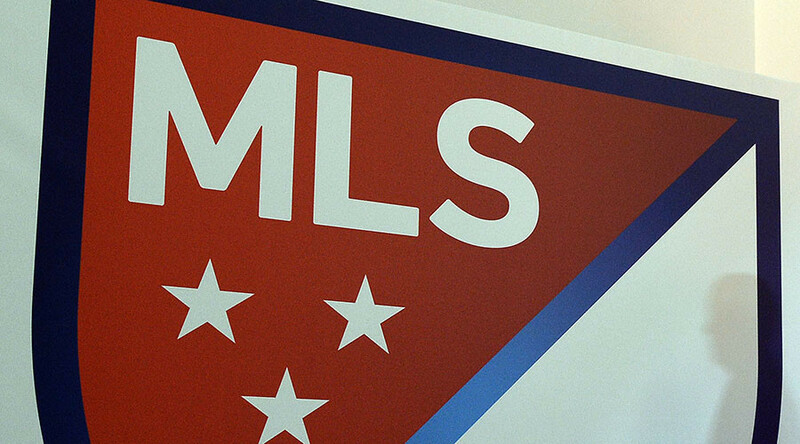 MLS 2016 kicks off this weekend with a full round of fixtures. New York Bulls versus Toronto FC gets things underway on Sunday at 1.30pm (EST).